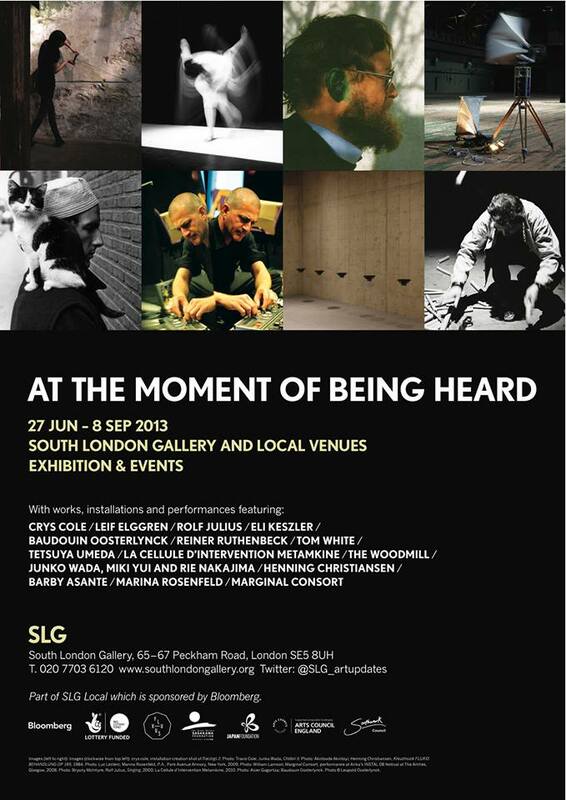 i am so pleased to present my new work, filling a space with salt (in 2 parts), at the South London Gallery as part of an incredible exhibition titled At the Moment of Being Heard. for this piece i have inhabited the two rear heating shafts under the floor of the main gallery space to create a piece in 2 parts… pt.1 is a sculpture made from 375 kg of salt, filling and just overflowing the left corner vent. pt.2 is the audio, captured in many dimensions from this process, which is contained inside the right corner vent. the 2 parts are directly across the room, mirroring each other – one side visual, the other side aural. the action took 108 minutes and the final audio is a delicate textural piece that blurs the lines between fluid and coarse materiality.